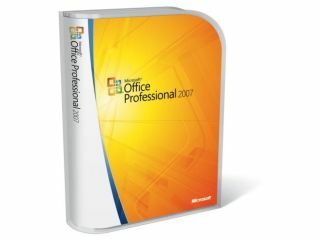 Microsoft today released Service Pack 2 for its Microsoft Office suite of productivity software, for the first time supporting Open XML, ODF and Adobe PDF file formats. On the server side, SharePoint Server 2007 has had security and performance tweaks, including better support for newer versions of the Firefox browser. Microsoft also promises improved performance and stability in Outlook, better charting functionality in Excel, and more control over the appearance of SmartArt graphics. The ODF Alliance welcomed the support of OpenDocument Format (ODF) in SP2, with its managing director, Marino Marcich, saying, "This is a victory for ODF, as it signifies a reversal of course by Microsoft from their decision to shun the format during the initial launch of Office 2007." Jane Liles, group program manager for Office Sustained Engineering at Microsoft, said, "Our customers have complex needs that no single vendor can address, so we need to be collaborative with the rest of the industry and make our products as interoperable as possible. At Microsoft, our approach includes open protocols, APIs and built-in support for the widest set of document formats in the industry." SP2 also includes the Open XML Format External File Converter, which allows developers to make any third-party document format a "first-class citizen" in Office, allowing Office to support most government-preferred formats. Seventeen national and eight provincial governments have endorsed ODF for document exchange, the latest being the UK government, which, under the 'Open Source, Open Standards and Re-Use: Government Action Plan' indicated it will support the use of ODF and work to ensure that government information is available in open formats. "The key test will be whether Microsoft's support for ODF plays well with other ODF-supporting software," warned Marcich. "Governments will want to further evaluate the support for ODF provided by Microsoft and whether it sufficiently meets their needs for greater openness and interoperability." SP2 also speeds up Outlook, with the upgrade offering a 26 per cent speed boost compared to its predecessor on a set of common e-mail tasks. It's even faster (35 per cent) with larger mailboxes. The Microsoft Office SP2 update is available now.